If you’re a fan of practical parenting books, especially the kind with lots of amalgamated-from-my-client-list-with-real-identity-disguised examples of people who are doing it worse than you, I highly recommend this one. 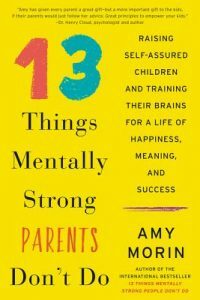 The “13 Things” in question really are things that we’ll all be happier if we don’t do (make your child the center of the universe, take shortcuts to avoid discomfort) and will often make you pause and take a hard look at what you really do as a parent (as opposed to what you think you do). Oh, my. Karen Lock Kolp (host of the We Turned Out Okay podcast) sent me this memoir, which I gobbled in just a few sittings. 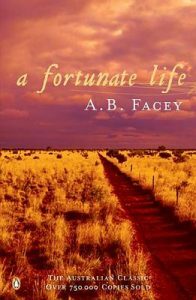 It’s the simply told story of a man born just before the 20th century in Australia whose adventures farming, in the bush, on horseback and in WWI leave him deeply appreciative of the simplest things in life. Apparently if you live in Australia, you couldn’t miss it, but I had. I loved it. Thanks Karen!